The Gray Room iPad App is the latest collaboration from publisher and well known author Jim Phillips and award winning photographer Eric Eggly. The App has many great features that allows the user to enjoy this incredibly complete and informative resource in new and fascinating ways. H&K: The Gray Room is a must have for Heckler & Koch enthusiast and collectors alike. 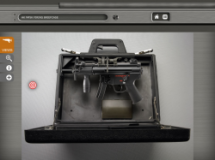 Experience a rare look inside the prestigious Gray Room containing the legendary collection of H&K custom and prototype firearms stunningly photographed. Housed within its headquarters in Sterling, VA, visitors could see firsthand the history of one of the world leaders in small arms systems. H&K has permanently closed the doors to the Gray Room but a record of these rare and one of a kind firearms has been cataloged, documented and recorded in its entirety. H&K is the world’s premier small arms systems company and a major supplier to global military and federal law enforcement agencies. An innovative leader in design and manufacturing, H&K provides technologically advanced firearms, logistical support, training and specialized services with the highest standards of innovation and reliability. Whether an enthusiast or a firearm’s aficionado, this resource will be one users will come back to again and again. Jim Phillips, Director of Phillips Publications, has a long and distinguished career in the military and law enforcement. He is a widely published authority in the field of clandestine and exotic weapons, specializing in researching the history and technology of weapons and equipment used by Special Forces units. He has published numerous books related to espionage and clandestine technology, military elite units, martial arts and edged weapons; several being considered standard reference works in the field. His expertise was featured in the Academy Award winning short film, “A Day in the Life of a Soldier”. He has also been featured in the TLC special “Clandestine Warfare”. Award winning Caliber Press film, “Surviving Edged Weapons” also featured Phillips, and has become the most successful police training film in America. Phillip’s commanding knowledge and background is often in demand in the field of espionage technology and spying. He has lectured at the FBI National Academy in Quantico, VA and at the Armed Forces Institute of Pathology at Walter Reed Hospital, D.C. Serving on the New Jersey Tactical Team in Camden for over three decades as an operator, supervisor and commander of the SWAT unit, Phillips is one of the most decorated officers in the department’s history. He ended his career in 2009 as a Patrol Division Commander. Phillips has served as an adjunct instructor with Heckler & Koch’s International Training Division which is world famous for their training and tactical ability. A master rated sub-machine gun instructor, Phillips has trained thousands of students in armed entries, weapons and officer survival in both the USA and abroad. He is currently a member of the staff of Team One Network in Fredericksburg, VA that specializes in officer survival and tactics. He continues his study of clandestine weapons and has a number books that will be published in the near future, as well as a book about his four decade career in Camden. He is a life member of the Special Forces Association, NRA, ABKA and AFIO. His admiration and support of the men and women in the military and law enforcement drives his continued study and research in the field that has made him such a sought after resource. Jim Phillips is the designer of the Military Freefall badge worn by all Special Operators who complete the HALO and course. Eric R. Eggy, a commercial photographer and owner of Point Seven Studios has been in the advertising field for more than 25 years. He began his career in the Detroit advertising market and is nationally and internationally recognized. The recipient of countless honors, Eric’s vibrant and illustrative photography has graced numerous publications, books, and magazines worldwide. Renown among collectors of blades and weaponry, Eric is equally adept at fashion and sports photography. His images reach beyond the camera. Eric’s appreciation for firearms has continued to develop over the years and the opportunity to work with a top professional like Jim Phillips has only made him become more passionate about the industry. “Jim’s extraordinary knowledge of military history and firearms is second to none. I am proud to be a part of such a unique project. The idea for this resource came after author Jim Phillips many visits to the Sterling, VA site. The Gray Room afforded visitors the opportunity to handle each weapon…”truly a weapons’ museum of ones dreams” according to Phillips. Many books were previously written about H&K but nothing containing the complete collection so stunningly presented and photographed. Phillips knew he had to capture this collection and presented his proposal to the H&K leadership for approval. He and longtime friend and photographer, Eric Eggly were given complete access to the Gray Room and spent a week documenting and photographing the entire collection. H&K: The Gray Room will not only serve as a welcome resource for H&K users, collectors and weapons lovers but as an opportunity to experience the collection not open to the general public. This is a company that literally rose from the ashes following WWII. 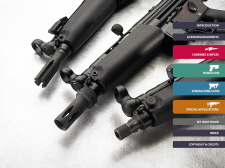 Over the decades they have emerged as the leading edge designer of weapons for military and police agencies worldwide, along with a loyal following among civilian gun owners. H&K gained worldwide attention as a result of the British SAS response to the Princess Gate hostage situation. The troops were carrying what would become the standard item for hostage rescue, the HK MP-5 SMG. 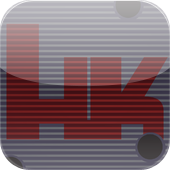 In the years that followed, H&K has developed cutting edge weapons for police, military and the growing civilian market. 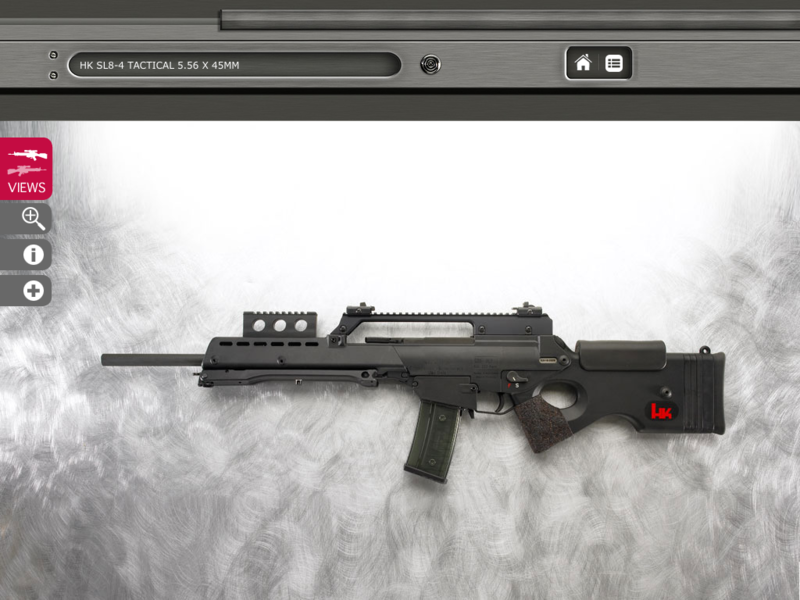 Their weapons are renowned for accuracy and dependability under the most hazardous conditions. There’s a phrase among operators, “If you’re carrying H&K, you’re okay!” Their new M4-16 rifle, recently adapted by the USMC, is rated as perhaps the finest shooting, almost indestructible rifle ever put in the hands of an Infantryman. “I'm thankful to the leadership of the company and to several friends who have supported this endeavor. The end result has exceeded even my optimistic hopes for the final product” (Jim Phillips, Phillips Publications). For app support please click here.